Campfire Audio is a leading audio brand that started small but quickly grew its reputation making hits after hits. Back then, I remember Orion and Jupiter gaining lots of attention since they came out and I eventually got the Orion. Although I have a pretty omnivorous taste when it comes to sound signatures, I rarely falls in love with 1BA in-ears. Orion was one of the few 1BA in-ears that I’ve been enjoying and it’s still in my possession, serving me well as one of the old gears that I have. CA is one of my favorite audio brands and I decided to purchase Andromeda and Vega. Though ironically right after I got them in my hands, that new ad popped up on my Instagram feed – “Introducing Atlas and Comet.” The first thought in my mind was “damn” – since I could of waited a bit more before purchasing the Vega. (Vega actually serves me well, so I’m happy about it.) But that wasn’t the main issue, as the next that came up in my mind was about the curiosity on Comet since it had the same driver configuration as my beloved Orion, and I had to figure it out. Comet has a price tag of $199, currently being the most affordable product from their lineup. Comet comes with the ordinary CA style packaging – simple yet pretty. The packaging has a vibrant orange theme and it’s included with generous amount of accessories – a black leather case, 3 pairs of silicon tips, 3 pairs of foam tips, 4 pairs of Spinfit tips, a cleaning tool, cable ties, velvet pouches, a shirt pin, and some paper works. Basically all CA products comes with the same set of accessories but come on, I should admit that this makes the Comet even better since its way cheaper than other models. Campfire came up with the new earpiece design which is completely different than the former ones. I must talk about the wearing style of the Comet, as CA finally came up with a straight-down style earpiece which must be good news to lots of folks. I actually prefer over-ear style over that but it wasn’t an issue as it was just as comfortable as wearing them straight-down. The housings are made out of polished stainless steel, giving a shiny and mirror-like appearance. The earpieces are detachable from the cable, being equipped with MMCX connectors. As I stated in the beginning, Comet is equipped with single dynamic drivers with CA’s well-known T.A.E.C technology. Nothing is particularly surprising until I’ve noticed that these BA drivers were vented like, which is rather uncommon. Final Audio FI-BA-SS is also equipped with vented 1BA drivers and was impressed with its sound before, so that is the main reason why I bought the Comet. The custom vented 1BA drivers definitely shows sonic differences from Orion or other 1BA IEMs, but let’s talk about that on the lower section where I talk about its sound. Comet’s default cable is ALO Audio’s copper litz cable (MSRP $149) but with a 3-button mic integrated to it, giving a much better usability for users who listen music out of their phones. The copper litz cable is one of the newest cable and I could say that it’s quite nice, in terms of quality and smoothness of the wires. The cable is terminated with a L-shaped 3.5mm jack, and while it’s a 4 pole jack (due to the mic) I didn’t face any issues while pairing up with my DAPs. Besides, there’s an additional “step” on the 3.5mm jack that allows smartphone users to stick it in with their phone cases on, so another good news for smartphone users and thumbs up for that, CA. Ok, it’s very typical to expect a flat, linear sound signature from 1BA iems. Well, Comet appears to be seeking a different path here. The bass is pretty plentiful for a 1BA, but what I’m more impressed about is its ability to express good thickness and density on the bottom; for a 1BA, of course. The resonance is well controlled, so I didn’t found the bass to be too splattery or messy. Overall, the bass presence is pretty clear with proper amount of resonance, so the bass amount should be plentiful enough for most users – unless you’re a basshead. Mids are slightly placed forward than the bass, having a natural transition from the bass. The thickness is actually quite adequate, showing good matching with both male and female vocals; pretty interesting as I found most 1BA iems to perform better on female vocals due to their thin sound on the mids. The brightness is right on the point, being neither bright or dark. Another point that I’d like to highlight is that Campfire managed to tame the mids from sounding metallic, giving an organic taste and color. However it still possesses a bit of shininess on the timbre which helps vocals to sound richer. Mids sound very stable throughout the frequency and doesn’t occur any sibilance. The treble amount on the highs are relatively laid-back though keeps its appearance clearly. The texture feels crispy yet not dry – or maybe I should say that it feels more moist than general 1BA IEMs, which is a good thing. Overall, the treble tends to smoothly flow away but with good response speed and density. Though it tends from making hard strikes in the head, so there isn’t much cool or refreshing feeling on the highs. But again, the shiny texture that comes from the mids keeps the overall sound signature from getting too dark. It gives me an impression that the treble here serves more as a seasoning to the overall harmony. I believe the treble amount should be adequate for general users. Comet is surely different than most 1BA IEMs, due to the vented BA driver. It shatters the bias around 1BA IEMs; which are usually considered to be flat, dry, and small staging/imaging. The staging feels adequately wide and surely better than most 1BA IEMs that I’ve tried before. It also does a pretty good job making the overall sound spatial, so it doesn’t particularly feel flat when it comes to imaging. Can’t say it’s superb, since it’s still a single BA, but it’s surely up to standards and also competeable with general 2-3BA IEMs or 1DD IEMs. Comet sounds more bassy and the textures are more moist and polished – giving me an impression of a very dense single DD rather than a 1BA. Quite different. Vocals sound slightly thicker compared to Orion but hey, it’s still a single BA. It’s actually just about the right thickness that would work well with both male and female vocals. Taking a look at the Orion, female vocals sounds more airy and sweeter here. Orion tends to lightly express the sound throughout the frequency, so some will find Orion to be sounding more neat and clean. There are multiple aspects where Comet outdoes Orion, but I’d say it’s pretty much more about personal preference. The gap between Orion and Comet is quite narrow, so I’ll actually put them on the same league in terms of overall performance. It’s very impressive if you consider the fact that the price tag on Comet is nearly $150 lower than Orion’s. Those who tried Orion and prefers such sound may prefer Orion, but I can say that Comet has a sound signature that would fit general users very nicely, even if you’re not a serious audiophile. Shortly, Orion tends to be more analytical while Comet goes for musicality. I still love my Orion, but I could definitely see that Comet is presented on a very competitive price. While I wasn’t expecting much from Comet before, I’m now surprised how much Campfire was able to advanced with single Balanced Armatures. The overall frequencies are tightly controlled while carefully allowing adequate amount of resonance, resulting into a sound that almost anybody could enjoy. Besides, it’s capable of two different wearing style and featuring a remote, so I’d consider Comet to be satisfactory for both serious and general listeners. Let’s not look down to Comet for being the cheapest model from the line up, because I won’t complain even if it had a higher price tag. That should explain how much I’m satisfied with the Comet. If anyone’s looking for an entry level IEM to start with, I’d say Comet will be a good place to start with. Campfire Audio Comet was purchased by myself. 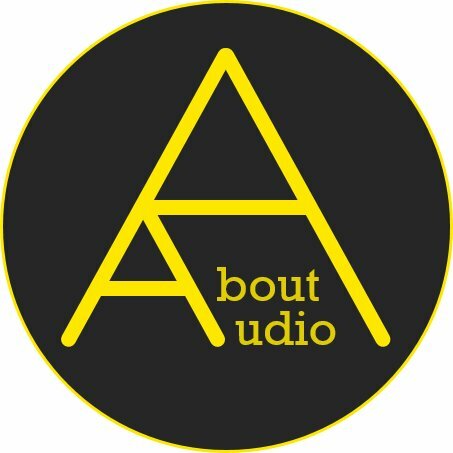 I am not affiliated to Campfire Audio. Can you compare it with Fiio F9pro? I’ve only tried the F9, unfortunately. But I suspect Comet to sound more calm and less fatiguing than F9 Pro. Bass amount should be sufficient enough if you liked F9 Pro, though the treble amount should be lesser on the Comet. Still got the details, of course. Are those ear tips you have on the comets from Final Audio? How do they compare to the spinfits on the comets? Apologies for the delayed response! Overall AET08 provides a denser sound than spinfit, especially on the bass. Spinfits sometimes distorts the staging depending on the IEM or your ear canal, but AET08 transits the sound with good accuracy. I’d recommend getting one, they’re very useful.